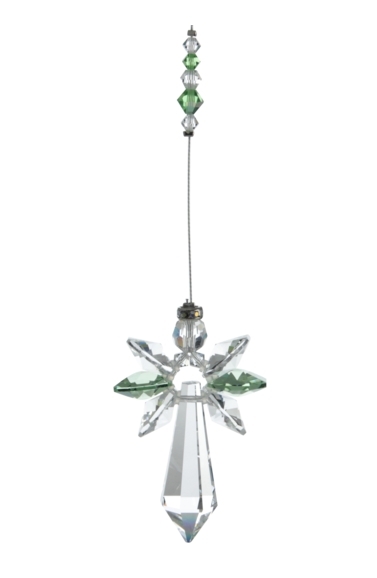 Handmade in the UK, our Large Guardian Angel in our Peridot colourway, incorporates more Swarovski crystals for a greater rainbow making effect. Peridot is the birthstone for August. Each Angel comes with an explanation of it's colour meaning.